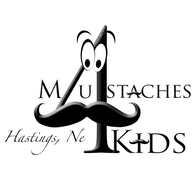 Mustaches for Kids Hastings is the local chapter of Mustaches for Kids, a volunteer-run organization started in Los Angeles in 1999 to do good and have fun by growing Mustaches for children's charities. The concept is pretty simple, you get pledges/donations to grow a mustache for one month. All the money raised during this fundraiser is donated to a local children's charity.